A strong feeling of motion sickness is not something you’d usually associate with a beach wander with a camera. I brought this on myself. Trying to focus a zoom lens on swaying ragwort plants, as insects fed, wasn’t the most sensible thing to do on a breezy day. The wind actually caught me off balance more than a few times too, but the attraction to observe and capture images of wildlife feeding on this plant was also strong . 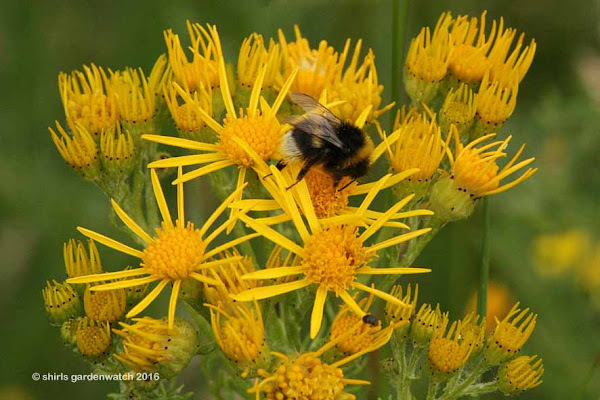 During our summer visits to Tentsmuir I'm drawn to an area of Ragwort, growing in sand, not far from the car park. 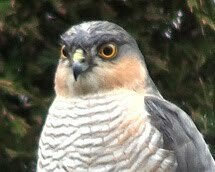 On this visit, July 16th, I was hoping to see butterflies that I don’t see in my own garden. 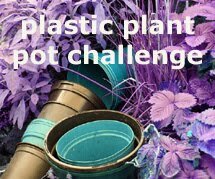 I like the challenge, although I wasn't expecting to be wind challenged! On this day, I unsuccessfully followed a brown butterfly, along the long grass edging a stream, before crossing the footpath bridge to the other side and the Ragwort. 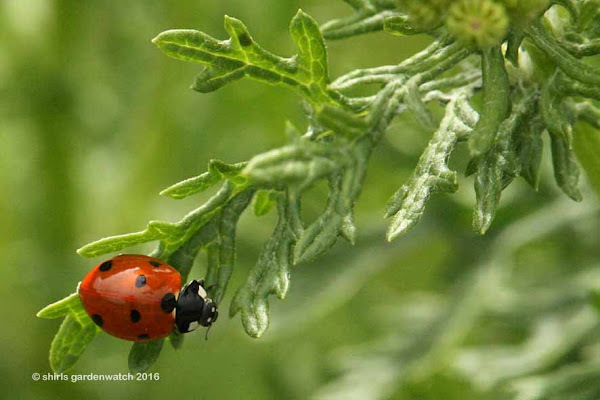 Before crossing the bridge, a ladybird was seen clinging to a Ragwort leaf. 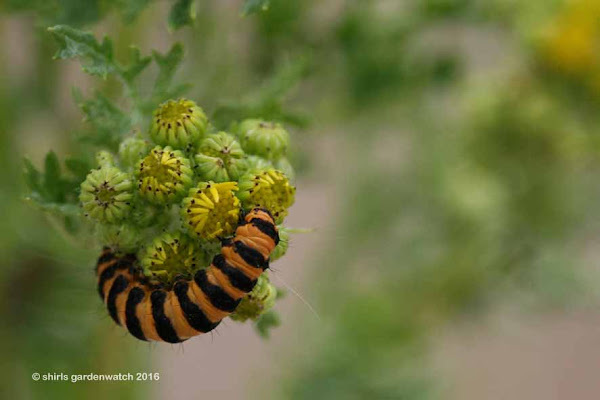 It was this caterpillar of the Cinnabar moth that first drew me to the Ragwort. “Ragwort is a tall erect plant to 90cm (3ft) bearing large flat-topped clusters of yellow daisy-like flowers from July to October. It has finely divided leaves with a basal rosette of deeply-cut, toothed leaves. With sucker-like feet the caterpillars had no problem holding on. 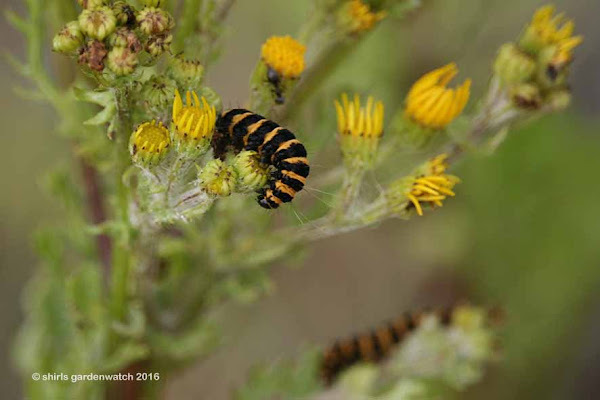 Large numbers of caterpillars might prevent the Ragwort from flowering. The camera captures that Ragwort flowers are actually quite pretty. It's yellow flowers are a magnet for many insects especially bees. I’ve never seen bee colouring like this – has anyone any suggestions to its ID? 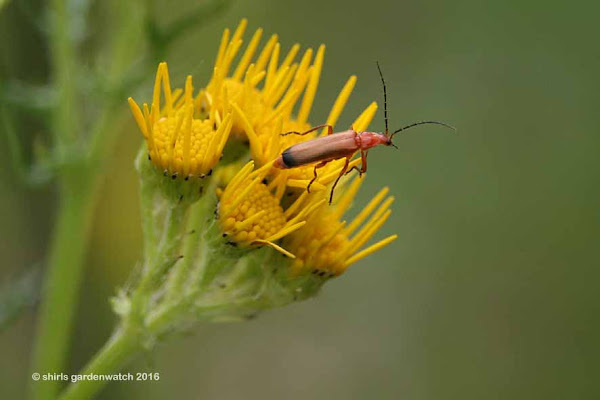 The Red Soldier Beetles (Rhagonycha fulva) are often seen visiting two by two. Another pair - some sort of hoverflies? Does anyone know what these are? A final seasick capture of a Red Soldier Beetle as the Ragwort waved around. So no butterfly photo captures on this windy day visit but the Ragwort area still kept my attention to stay awhile as you’ve seen above. Wildflowers growing in the sand also caught my attention. 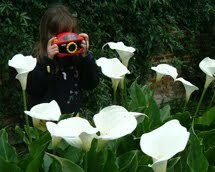 I’m loving the challenge of finding ID’s for these hardy plants and will return to this visit another time. If you find yourself on a beach walk this weekend take a closer look around as there is more to see than you might think. I should add, although I look forward to my visits to this Ragwort patch, patches of it growing in fields of grazing animals are not welcome at all. 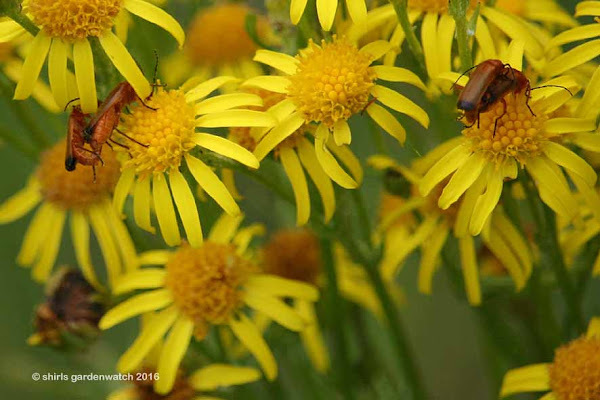 Horses and cattle are particularly susceptible to poisoning should they eat Ragwort. 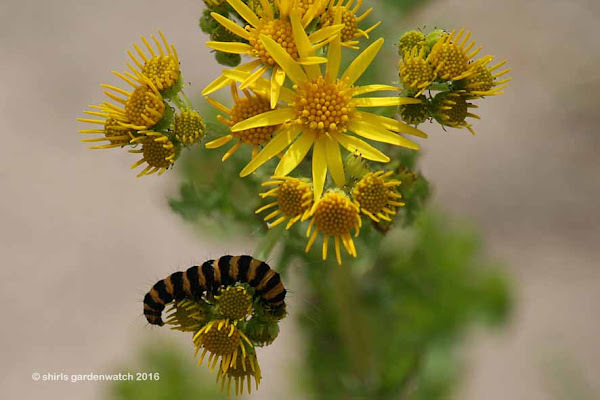 Controlling the spread of this plant was addressed in the Ragwort Control Act 2003 although it looks like the caterpillars above could help the cause. ”The main insects that can devastate populations of Ragwort are the Cinnabar moth and the flea beetle, Longitarsus jacobaeae. Some of the fly larvae and moth caterpillars have the capacity to decrease seed production. The remaining fauna collectively impact upon the health and vigour of Ragwort, though the significance will depend on local circumstances. 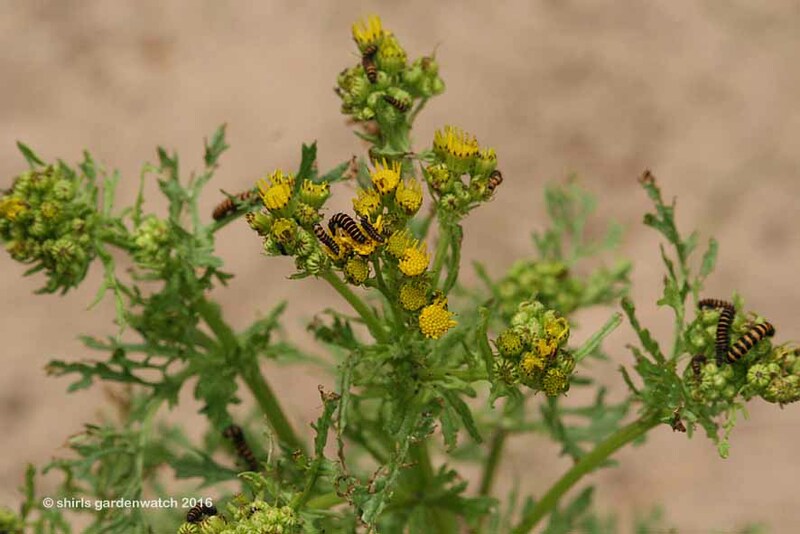 On the whole, districts where Ragwort is always present should have the most complete insect fauna and are thus best placed to continuously affect control. 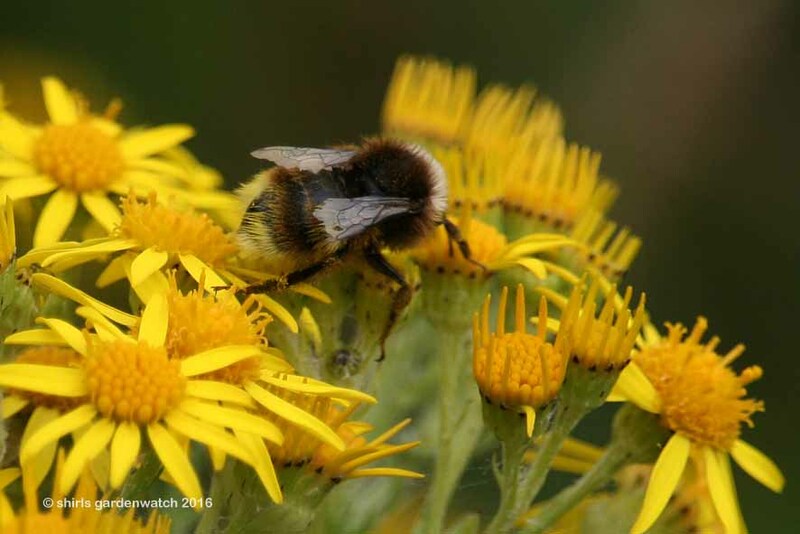 It is usually where poor land management allows excessive colonisation by Ragwort seed that the man made problems arise. 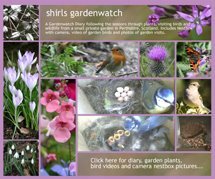 This post was published by Shirley for shirls gardenwatch in August 2016. Alas there is no beach for me to wander through. I live in a land locked area. The closest thing to a beach here is the river edge. I live only about 3 miles from the Wabash River. Not much edge to walk along. You have fabulous photos despite the wind. I hope you are feeling better by now. 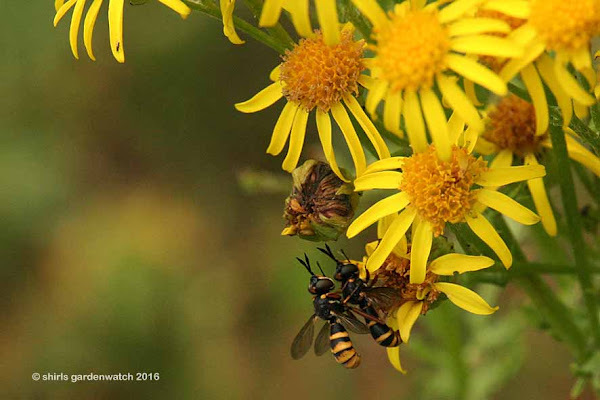 The pair of stripy guys look like European paper wasps . 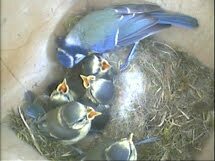 Great images. They are some lovely photos especially of the cinnabar caterpillar. I do have an aversion to Ragwort due to, as you say, being toxic to animals. 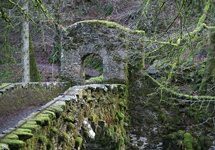 It is a notifiable plant which means legally it should be destroyed. Brian, thank-you, I love trying to capture images of this caterpillar and enjoy days I see it. 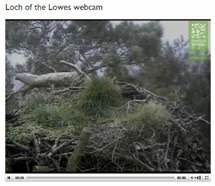 Yes, there is much on the legal side of destroying this plant but there is also mention of the wildlife impact by doing so too. I spent some time reading excerpts of articles before picking quotes to use here.